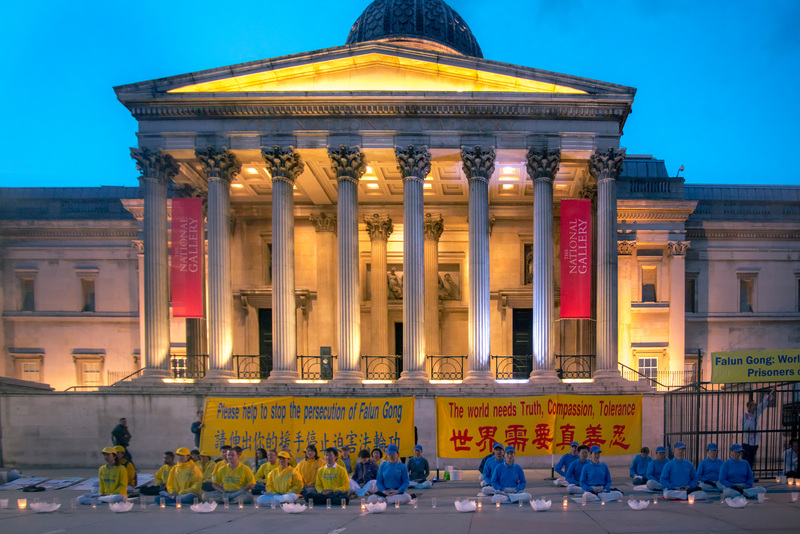 Practitioners of the spiritual discipline Falun Gong marched through the streets of London and Cambridge on Saturday 22 and Sunday 23 July, appealing for an end to the 18-years of persecution instigated by the Chinese communist regime. A colourful marching band was followed by protesters peacefully holding banners and placards. On the Sunday evening, a candlelit vigil was held in London’s Trafalgar Square. Falun Gong is a traditional Chinese meditation practice that cultivates truthfulness, compassion, and tolerance. A brutal crackdown of the practice was initiated on 20 July 1999 by the then-leader of the Chinese communist party, Jiang Zemin. 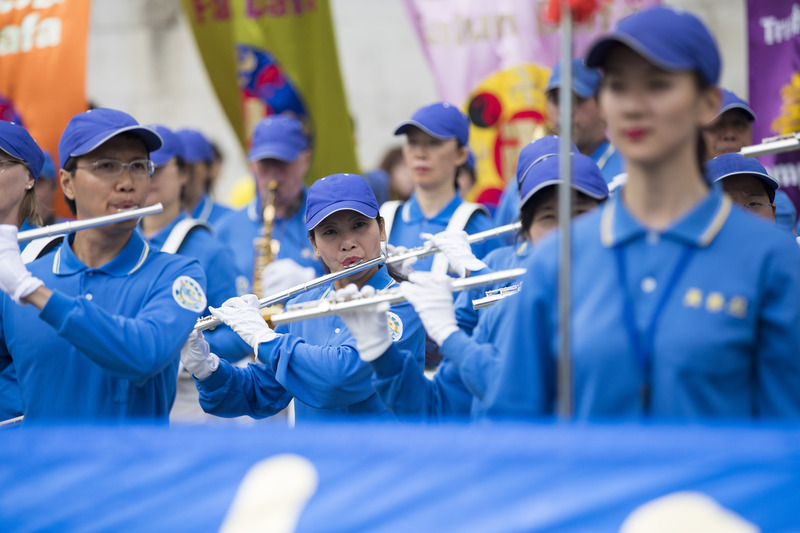 Each year around 20 July, Falun Gong practitioners and supporters organise peaceful protests to raise awareness of the brutal persecution. Dongfei Yan was at the protest in London. She was tortured in a labour camp and forced to make 3,000 chopsticks every day. She fled to London to seek asylum. A few days earlier on 18 July, a seminar in Parliament highlighted the issue of forced organ harvesting in China. To coincide with the event, supporters held a rally in Parliament Square. 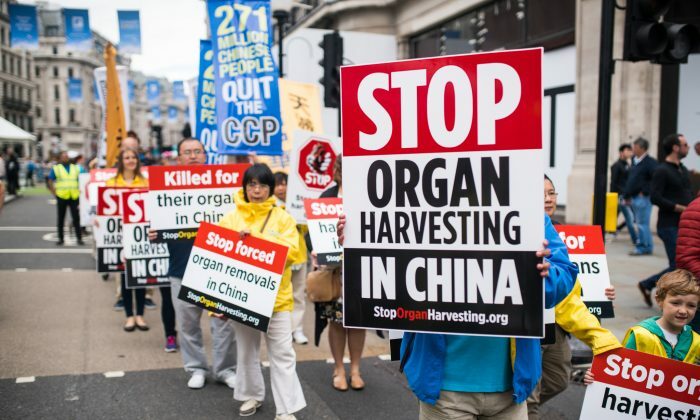 Investigators have found that forced organ harvesting from prisoners of conscience, mainly from illegally detained Falun Gong practitioners, is happening systematically on a large scale. “We need to raise the profile of what China is doing in relation to the forced organ harvesting that’s taking place. They deny it, but the fact is, it continues,” said MP Jim Shannon after the seminar. “Those people have been victimised, politicised and systematically had their organs taken off them because they believe in Falun Gong. Our job is to make sure China stops that,” he told NTDTV. “It’s known throughout the world and in the West that this practice is occurring, and the amounts of money that are being paid for organs,” he said. The marches over the weekend were led by a military style marching band made up of around 70 musicians from across Europe. While the music is uplifting and hopeful, the personal stories of some of the members are heartbreaking. 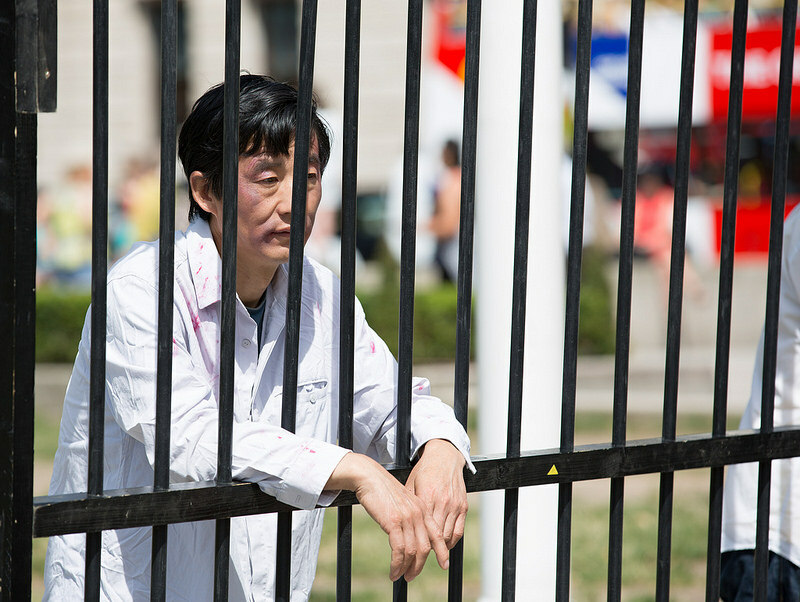 Some have had loved ones thrown in jail or forced into hiding in China. Amy Yu is from north London and plays in the band. Her father was imprisoned for his beliefs, yet even after his release he does not feel free in his native country, she said. “After so many years of imprisonment and harm to his health, even though now he has been released, our ordeal isn’t over. I cannot talk with my father openly on the phone, because we are sure the phone is monitored. He has to be careful not to reveal his location to authorities – he is effectively in hiding,” she said.